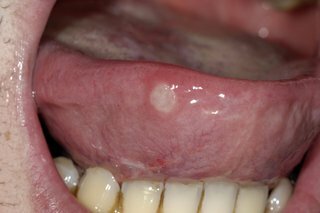 Mouth ulcers are common and should clear up on their own within a week or 2. They're rarely a sign of anything serious but may be uncomfortable to live with. You can buy these without a prescription but they may not always work. 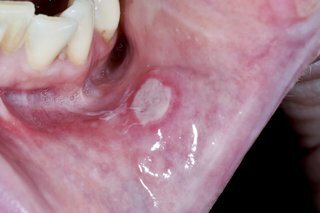 Although most mouth ulcers are harmless, a long-lasting mouth ulcer is sometimes a sign of mouth cancer. It's best to get it checked. Your GP or dentist may prescribe stronger medication to treat severe, recurrent or infected mouth ulcers. You may have more than one ulcer at a time and they can change in size. Mouth ulcers aren't contagious and shouldn't be confused with cold sores. Cold sores appear on the lips or around the mouth and often begin with a tingling, itching or burning sensation.